Will they fit my droid? Can they be used for RC units? JOIN NOW & GET MORE R2D2 FREE STUFF! RESIN REPLICA PARTS AND DROIDS. The most convenient and reliable R2D2 Resin Replica PARTS. These parts are cast in high resistance resin recreated from standard specifications. Shipped via U.S.P.S. or FedEx in protective bubble wrap and cardboard package. Email for prices and availibility. Testimonials from other R2D2 builders. The Data Bank page is a large digital archive where you can find the exact part you are looking for, whether the novice or seasoned R2d2 builder can locate the exact match or that particular missing piece, just browse thru the archive, from diagrams and stills from the movies, to other fellow buliders pics, so you know what is the name and location of the part BEFORE you make a purchase. We can also assist with the assembly, or offer free advice for other related subjects to your R2D2, R5 or R7 Droid project. 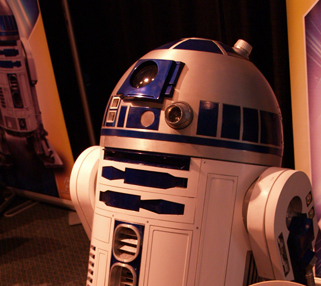 This is a FAN site,the goal for the site is for every fan to be able to build their very own R2D2 droid unit. ALL the information display here is shared with every r2d2 builder who asks, all the parts are available at all times, without sacrificing the quality, many times parts are given away whenever possible. They are well made . Armed Forces, Noble Causes, Charity and Educational. We are PayPal Verified, shop with confidence. r2d2parts.com is Fan based, completely independent and does not own the character, anything related, or similar, nor is affiliated in any way or form to Lucas Film, Lucas Arts, or its rightful ownership.See Legal Disclaimer ans Terms and Conditons pages for more details .